Staff and students at Imperial are being encouraged to hand over their unused antibiotics as part of an annual amnesty. Researchers from the College’s Health Protection Research Unit in Healthcare (HPRU) Associated Infections and Antimicrobial Resistance will be running drop off sessions at South Kensington and Hammersmith campus as part of World Antibiotic Awareness Week. Staff and students are invited to drop off any unwanted antibiotics at the stands on each of the days, with the drugs disposed of by the HPRU in Healthcare Associated Infections and Antimicrobial Resistance team. The week-long event will take place from Monday 12 November as part of the World Health Organisation’s (WHO) World Antibiotic Awareness Week campaign to increase understanding about the rise of bacterial infections that no longer respond to antibiotic treatment. Maxine Myers caught up with Juliet Allibone, Head of Operations at the HPRU in Healthcare Associated Infections and Antimicrobial Resistance, to find out more about the event and plans for World Antibiotic Awareness week. 1) Can you tell me about the antibiotics amnesty? We came up with the idea of an amnesty about three years ago. One of the aims of the event is to start a conversation about why people need to change their behaviours and attitudes towards antibiotics. Antibiotics are not an everlasting panacea for all illnesses – they don’t ever work against viruses and using them inappropriately drives antibiotic resistance and results in drug resistant infections which can’t be treated. 2) Why is this initiative so important? It is estimated that antibiotic resistance could cause an additional 10 million deaths around the world per year by 2050 if action isn’t taken. That’s more than the current number of deaths from cancer. The drug-resistant infections which result from inappropriate prescribing and improper use of antibiotics mean that we’ve already seen a resurgence of infections which we had previous all but cured such as tuberculosis. Also, other bacteria such as Staphylococcus aureus, are rapidly becoming resistant to not just one type of antibiotic, but several types, including those of a last resort. It means people are starting to die of minor injuries or infections which we previously we could treat such as skin infections after routine surgery. 3) How successful have past campaigns been? Every year we have seen an increase in the number of antibiotics surrendered and the number of people making a pledge to protect antibiotics by signing up to Public Health England’s Antibiotic Guardian Campaign. Last year, we were given over 290 tablets or capsules across a range of antibiotics including co-amoxiclav, Erythromycin, Ciprofloxacin and Pyrazinamide. Over 300 people from the College’s community also signed up to become an antibiotic guardian. 4) Do you think the messages about using antibiotics properly are resonating with the public? I think too many people take antibiotics for granted, rather than treating them with the respect they deserve. Antibiotics are a precious resource that are fundamental to the efficacy of cancer medicine, routine but life-saving operations such as caesarean sections and other modern medical procedures such as hip replacements. I think there is a misconception that scientists will somehow ‘solve’ resistance, by inventing a new antibiotic. Resistance is a natural phenomenon so even if we do invent a new antibiotic, the bacteria will still become resistant to it eventually, and the period of time between introduction of a new antibiotic and observed resistance is getting shorter and shorter. 5) What can people be doing to help stop antibiotic resistance? 6) What other activities will you be holding as part of antibiotics awareness week? We will have a video game called “the antibiotic arms race ” on the amnesty stands to illustrate the phenomenon of resistance and we will be writing to all schools in Hammersmith, Acton and Chiswick to invite them to use one of our lesson packs on hand hygiene or on the evolution and resistance of bacteria. Members of the College will also be supporting a number of antimicrobial resistance (AMR) /infectious diseases games and family-friendly activities following performances of the ‘Mould That Changed the World’, a play about the discovery of antibiotics and the subsequent development of AMR. 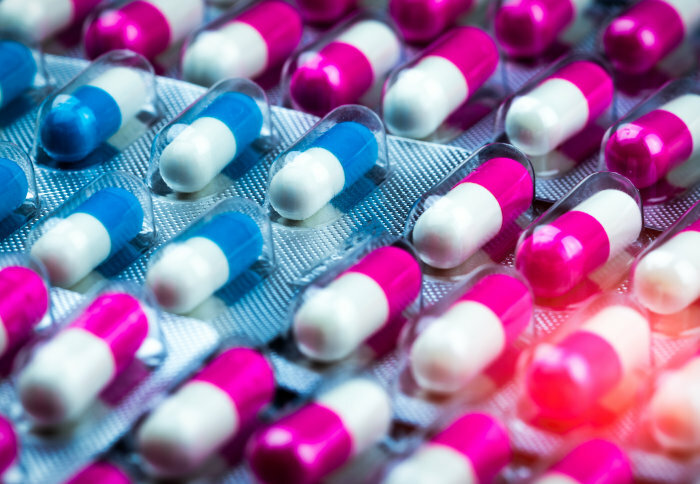 More information about the antibiotics amnesty can be found on the HPRU in Healthcare Associated Infections and Antimicrobial Resistance pages.